Documentaries come under the category of ‘factual’ programmes, and as the title suggests, the content should be based on facts, an objective and balanced presentation of an issue or event. Documentaries by their very nature rely on capturing ‘spontaneous’ material, and this often means that the content cannot be scripted prior to filming. So how can we help students prepare effectively for making a documentary film? It’s a bit of a ‘chicken and egg’ situation. Which comes first – script or filming? The answer of course, is neither. What should come first is research. Knowing the subject matter and the story you want to tell can only be achieved through thorough research. Thankfully, there are numerous ways in which research can be carried out, and from a learning point of view, research is an intellectual as well as creative challenge, and one that can be easily assessed. Research is part of the programme making process that applies to all genres of documentary. Thereafter, the production process diverges; depending on what sort of documentary is being made. 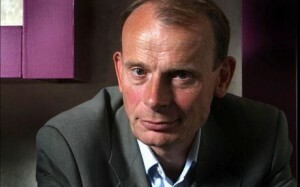 Historical documentaries that feature a presenter, and rely mostly on historic sites and archive material, (think of Andrew Marr’s fabulous ‘The Making of Modern Britain’,) can largely be scripted before the camera rolls. After all, Mr Marr is fabulous at what he does, but even he might falter and fail to deliver all the facts without a script. I once helped to devise and run just such a project, with a group of trainees. The subject matter was a local Victorian novelist, who in his day was greatly celebrated, but is now largely unknown. The group were each given an area of his life to research, e.g. his early life and education. The trainees then pooled their research and devised the structure of the story they wanted to tell. Next, they were each given a section of the story to script, direct and edit. The trainees worked closely together as a production and editorial team, (writing the voice-over, which linked all the sequences together), ensuring that the final film cut together as a harmonious programme. The project took a lot of managing, but it was an extremely collaborative process, requiring good communication and the sharing of information and resources. However, documentaries reporting on current affairs or events, which includes social/political issues, business, nature, the environment etc, anything that is still unfolding and developing, are far harder to produce, as they cannot be scripted before filming begins. So what should students do, and how can we create a working process to assist them? Needless to say, they should research their subject; create a loose structure, and recce where possible. But how do we prevent students from filming an excess of material, which at worst is irrelevant and at best costs time in the edit? If anyone has worked on a project and devised a working process to overcome this ‘chicken and egg situation’, please do get in touch and share your experience. This entry was posted on Monday, November 9th, 2009 and is filed under Production & Artistic. You can follow any responses to this entry through RSS 2.0. You can leave a response, or trackback from your own site.